The TCU Horned Frogs football team represents Texas Christian University in Ft. Worth, Texas. The TCU football team is a member of the NCAA Division I FBS and the Big 12 Conference. TCU began its football operations in 1896 and was one of the dominant college football programs during the 1930’s, 1940’s, and 1950’s. TCU won two national championships with Heisman Trophy winner Davey O’Brien in 1935 and 1938. TCU was a member of the Southwest Conference from 1923 until the conference was dissolved in 1996. TCU plays its home football games in Amon G. Carter Stadium in Ft. Worth. TCU joined the Big 12 Conference in 2012. The official website of Texas Christian University Horned Frogs Athletics is GoFrogs.com. The TCU Horned Frogs head football coach is Gary Patterson. Learn more about Coach Patterson, here. Texas Christian University is a private, coeducational university located in Ft. Worth, Texas. TCU was founded in 1873 by Addison and Randolph Clark. TCU has a current enrollment of 9,518 students. Visit the Texas Christian University academic website at tcu.edu. TCU Gameday has a nice collection of Texas Christian football information including traffic tips and directions, Amon G. Carter Stadium parking, TCU Gameday activities, and Texas Christian maps. Amon G. Carter Stadium is the home of the TCU Horned Frogs football team. Construction of the stadium began in 1929 and it currently has a capacity of 45,000. Amon G. Carter Stadium underwent extensive refurbishment in 2012. 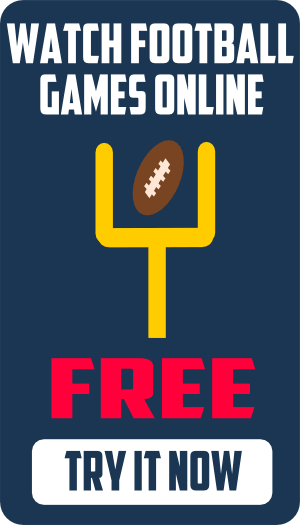 Get the best prices on tickets to Texas Christian University football games. You can comparison shop at one place online all the major sporting event ticket outlets at Big 12 Football Tickets. We offer the cheapest prices on TCU football tickets. Get access to all Big 12 football games, highlights, and replays on Big 12 Football Online. Watch TCU football games on ESPN and FOX Sports. Find out where to watch TCU football online. 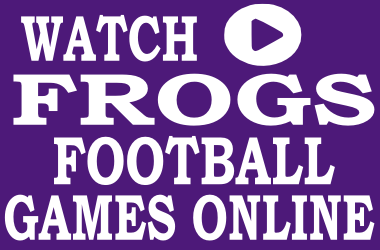 Visit Big 12 Football Online to watch the TCU Horned Frogs football game online. The TCU Horned Frogs football team opens the 2014 football season with a game against Samford. View the 2014 TCU football schedule at the 2014 Big 12 Football Schedule Grid. The Texas Christian University football team mascot is Super Frog, a horned frog, which is actually a type of lizard. Learn more about Super Frog at TCU mascot and traditions. TCU Fight Song is the official Texas Christian University fight song. Download free TCU ringtones at our TCU fight song ringtones page. Download TCU football wallpaper for cell phones and computers and TCU Horned Frogs screensavers at our free TCU wallpaper page. The most popular message board forums for TCU Horned Frogs football are the independent Killer Frogs, Horned Frog Blitz, and Purple Menace. Spit Blood…Fight ’em until Hell freezes over, then fight ’em on the ice. Angry Trey…Updated TCU sports information. Frogs O’ War…For TCU Horned Frogs fans. Killer Frogs…Lowering office productivity since 1997. Frog Links…Texas Christian University alumni Association. HornedFrogBlitz.com…From our friends at Scout.com. TCU Daily Skiff…Official student run newspaper of Texas Christian University. TCU360…TCU news from the TCU School of Journalism. Star-Telegram…TCU sports from the Dallas-Fort Worth metro.